I should have read the reviews before putting thin ink in this bad boy. It leaked like a mother and I had to ditch it. If I have to put tape on a marker I feel like that's a con. Otr could probably improve the seal. this is my marker of choice to put my marsh/garvey/acetone mix in. dope. Does this marker even need a review? 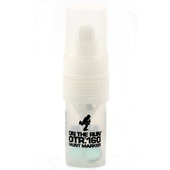 If you don't already know about OTR valve action markers..they are some of the best if not the best valve action markers that you can purchase. Very durable nibs. Super easy to refill. If you use thin ink I would recommend throwing 1 turn around the threads of Plumber's tape so you're guaranteed not to leak at all.